There are different types of charters to choose from – below are some options, but we can customize trips as necessary. We also offer day or overnight trips to the Bahamas. Call us @ 305.725.8807 or email us for additional information on these specialized trips. Please click here for charter rates. Capt. 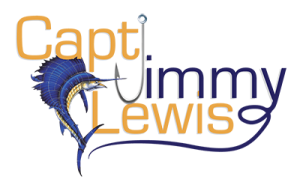 Jimmy Lewis will take you offshore fishing for sailfish, dolphin, tuna or whatever fish is in season. Depending on the conditions you might end up wreck or bottom fishing for grouper, snapper or any of the numerous bottom fish that live off Miami. The charter includes all bait and tackle necessary for a fun day of fishing. You bring your lunch, drinks, sunscreen and camera. We also recommend a hat and sunglasses. If time is an issue or your not sure you are up to a full day on the water Capt. Lewis will give you a shortened version of the above day. You can choose either a morning or afternoon half and enjoy 4 hours of great fishing. For the serious fisherman we offer the ultimate in saltwater fishing. Take a quick run over to the island of Bimini, 45 miles east of Miami and enjoy some of the best saltwater fishing there is. You can run over for just one day or stay for as many as you like. Fuel, customs and accommodations are extra. Call for pricing and the best times to go. Daytime is not the only time to catch big fish in Miami. There is plenty to catch both at dusk or at night. Tarpon and Snook are plentiful in season, if you know where to look, and Capt. Jimmy Lewis will take you to the right place at the right time for these exciting gamefish. If adventure is your game then let Capt. Lewis take you offshore at night for some big game fishing for Broadbill Swordfish. These strong fighters can grow to over eight hundred pounds and there are many to catch in the 200 – 400 pound range. On this four hour charter Capt. Jimmy Lewis will use a variety of methods to help you catch the fish known as the “Silver King”. These wily gamefish are excellent jumpers and can grow to over 100 pounds. These delicious gamefish are only in season for a short time but are great fun to catch and some of the best eating fish around. This four hour night charter will be timed around the tide to optimize your chances of catching them. Watch for their aggressive strike and hold on! Capt. Jimmy Lewis has been catching these giant gamefish since he was a teenager. This six hour charter will take you offshore at dusk where you will fish for these big blue monsters. Get ready to work out your muscles as these fish pull like crazy.